I promise you’ll go back for seconds! 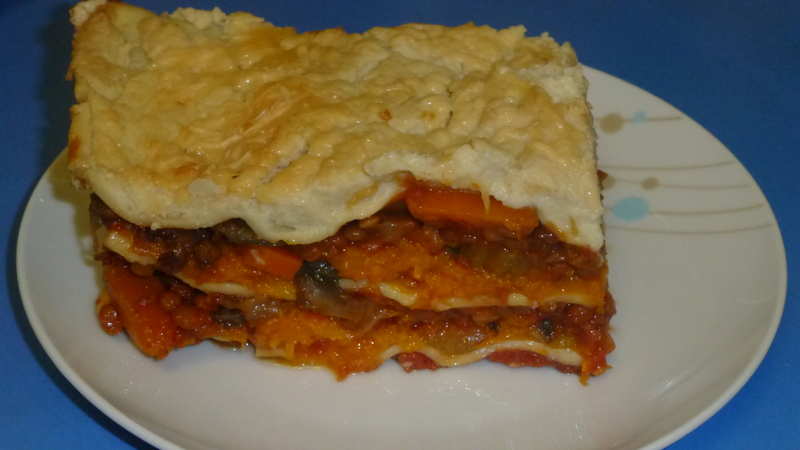 This is a ‘meat-lovin’-husband-approved’ vegie lasagne. The lentils give it great substance, the cauli-‘cheese’ sauce is awesome and everything comes together in many delicious layers! 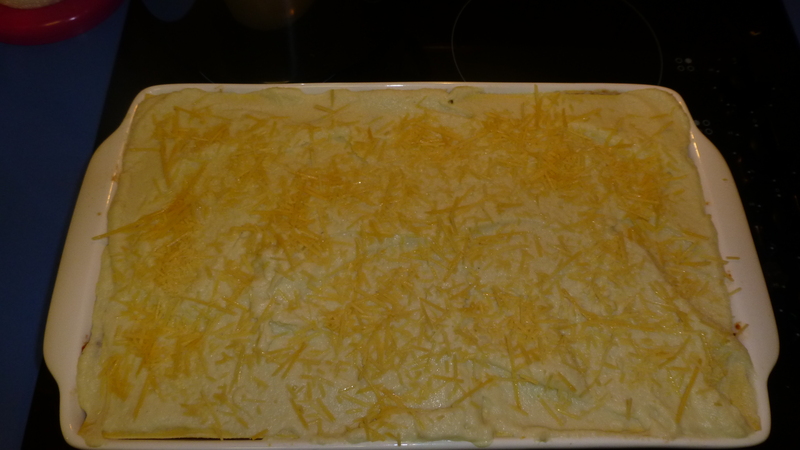 It’s super cheesy with only 50g of cheese in the whole lasagne, that’s less than 10g per slice! There’s quite a lot of work putting this together, but it makes HEAPS to last all week. 3. 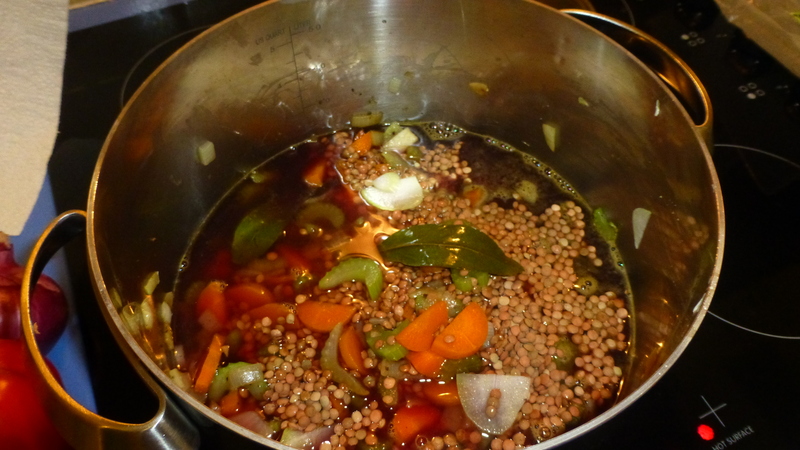 Layer on top of the onion mix the lentils, one stock cube, eggplant, mushrooms, wine, water and tomatoes. 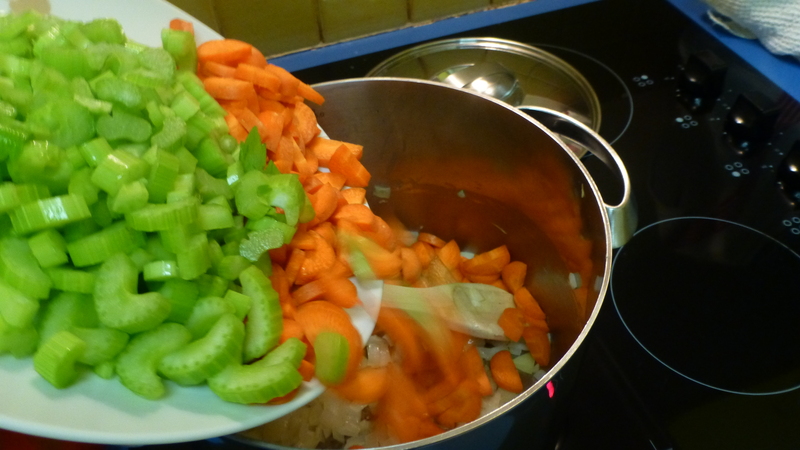 Simmer for 1 to 2 hours until rich and a little thickened. 4. 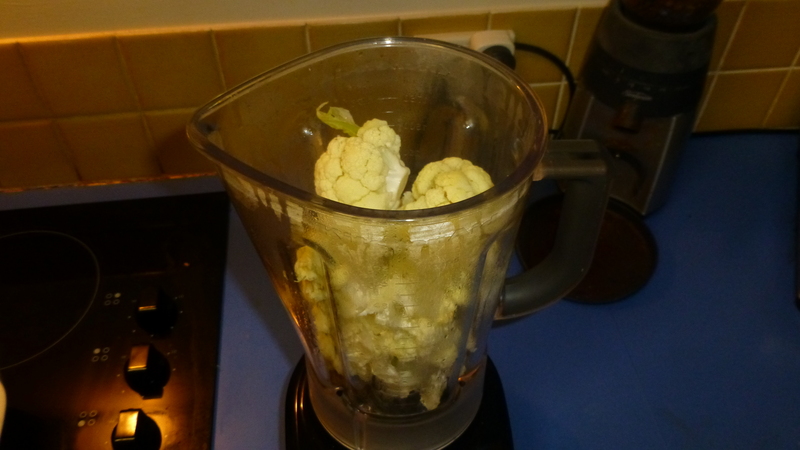 Make the cauliflower béchamel by blending until smooth the cauliflower, one stock cube and enough water/milk to make it a nice smooth sauce. 5. 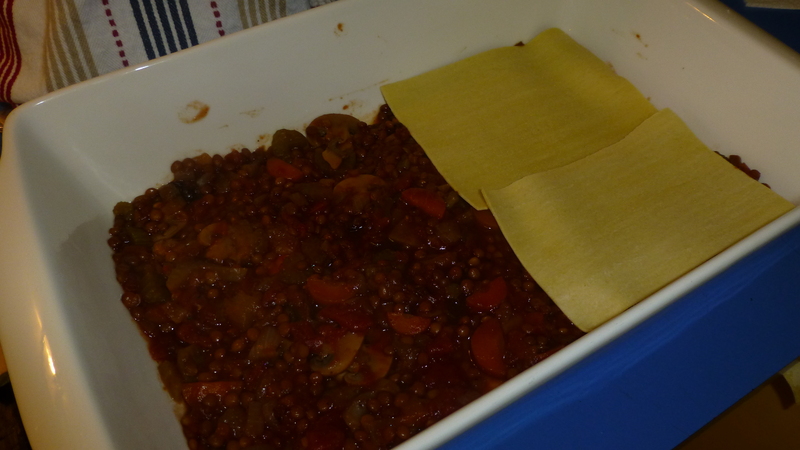 Layer the lasagne in a massive tray: lentil mix, lasagne sheet, ½ the pumpkin, lentil mix, repeat until the tray is full. 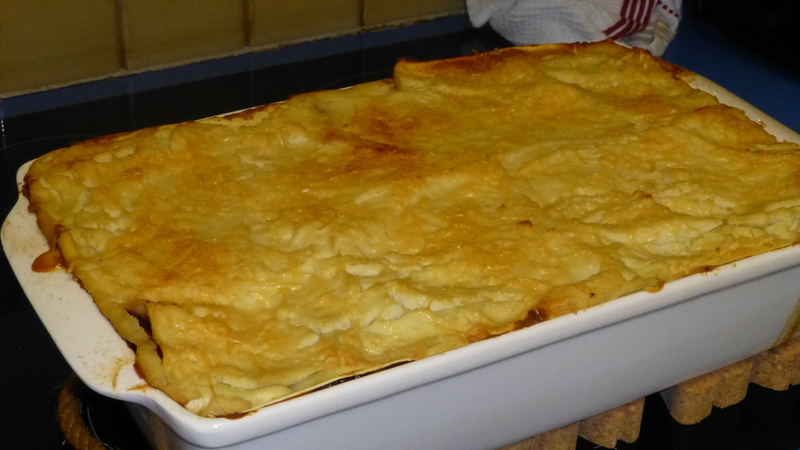 Finish with the cauliflower béchamel, a sprinkle of nutmeg and the parmesan. 6. 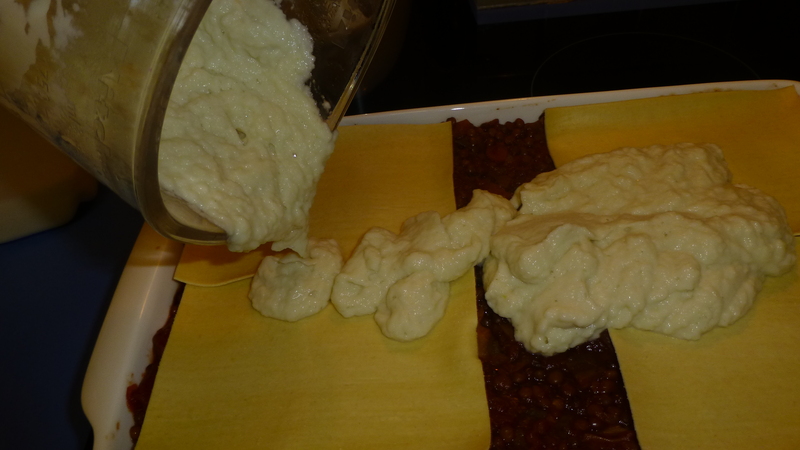 Bake for 1 hour at 180 degrees (350 degrees F). 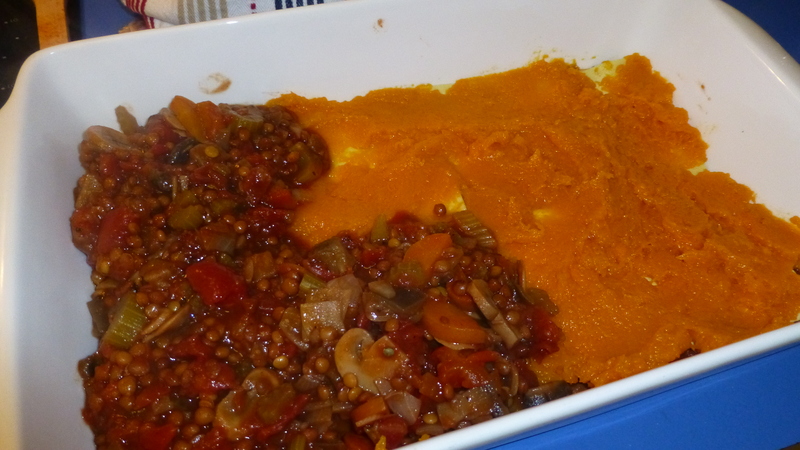 This entry was posted in Frugal Foods, Healthy and Tasty, Main Dishes, Vegan Option and tagged Cauliflower, Lentils, Pasta, Pumpkin (Squash). Bookmark the permalink. 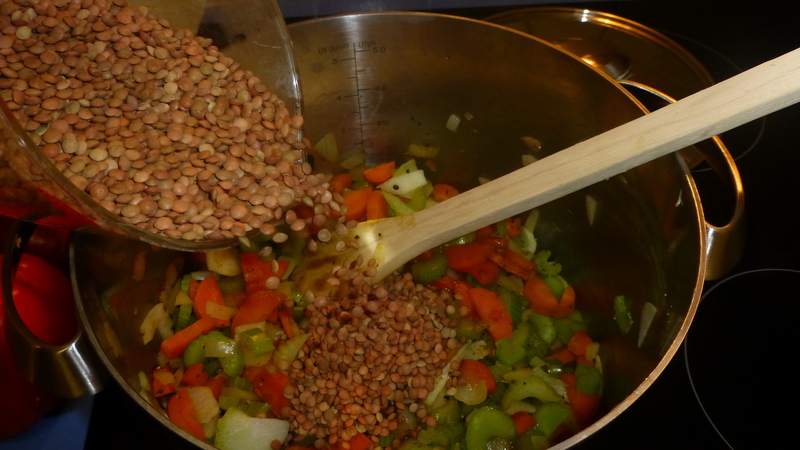 I am a huge, huge fan of lentils! !